Charles Linden Media is the world’s most respected provider of media, programs and services for people suffering from stress and anxiety related conditions. One of the Linden Tree Corporation group of companies, Charles Linden Media is the primary publishing and distribution vehicle for The Linden Method Anxiety Disorder programs, Apps and resources. Other programs, TV series, DVD, CD and written publications have also been published by Charles Linden Media and distributed internationally through conventional publishing channels, international booksellers and distribution networks. Most of the materials are ISBN listed although many form part of the program packages delivered to clients, corporations and government agencies. Founded in 1997 the sole-tradership which became Charles Linden Media has provided anxiety recovery resources to millions of people from around the world. 160,000 people from over 50 countries have used our distance learning programs alone. Charles Linden’s TV series, now distributed internationally on DVD by Hay House Publishing, reached millions during its time on broadcast TV. Our programs are available in Home Learning, App, Residential and Workshop formats for the public and for corporate contracts. 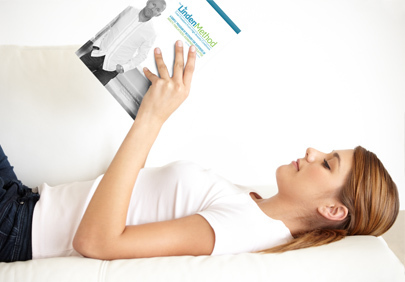 Charles Linden Media’s library of materials grows constantly and is the subject of thousands of web articles, newspaper and magazine articles, blogs, social media posts – The Linden Method is the world’s only dedicated, accredited anxiety recovery therapy and is therefore of great interest both to sufferers and practice. The data collected from over 160,000 direct clients and millions of people who have accessed our materials online has given us a unique opportunity to develop bespoke media and guidance leading to full and permanent recovery across a wide range of direct to user and corporate content delivery vehicles.